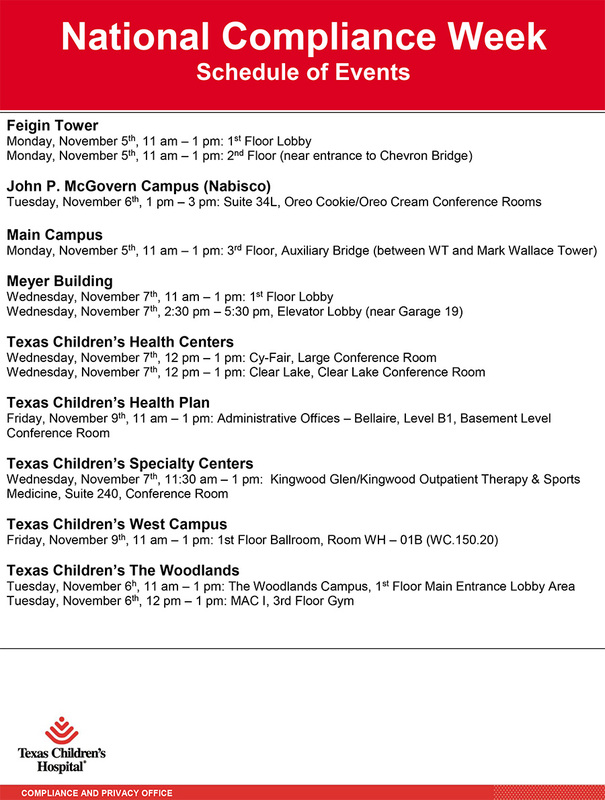 To recognize and promote the importance of integrity and ethics at Texas Children’s, we will be celebrating National Corporate Compliance and Ethics Week during the week of November 6 to 10. During the week, the Compliance and Privacy Office will be hosting a series of awareness events throughout the organization. This is a wonderful opportunity to meet members of the Compliance and Privacy Office, learn more about what we do. 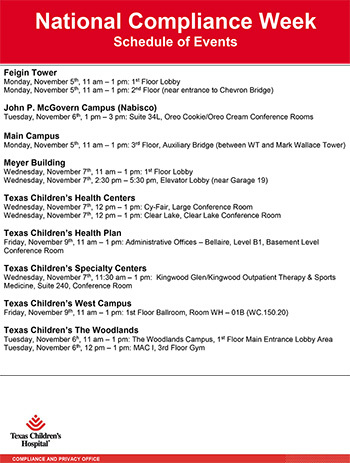 For a complete schedule of events, see the image above.